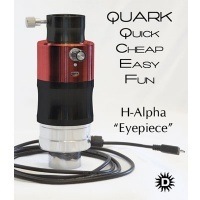 Daystar Instruments NEW CALCIUM H-line QUARK is available to special order! 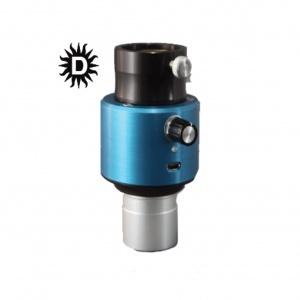 This All-In-One design marries high quality components of adapters, snouts and Daystar calcium filter into one simple assembly. 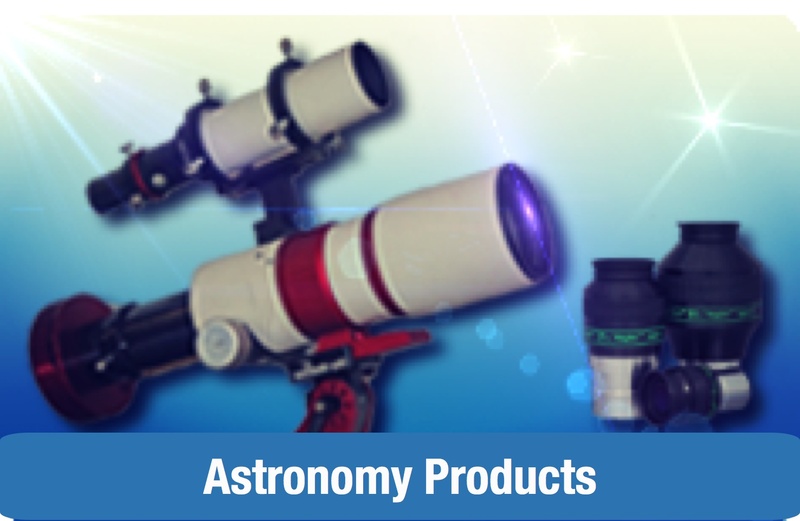 Through design efficiency and optimization, now users can enjoy the known high quality optics of Daystar at an affordable price. Many astronomers forget that the Calcium H-line and K-line yield virtually identical views of the Sun. Solar researchers who only image the Sun with CCD cameras often choose the K-Line for purely research purposes. Sadly, with Calcium K-line filters, many older astronomers are unable to see the lower wavelength and miss out on all the fun. We offer higher wavelength Calcium H-line filters for visual observers so that most clients can enjoy Calcium! For use on F/7 or longer focal ratio refractors, the user needn't worry about configurations. Just insert in your diagonal, add an eyepiece and view. 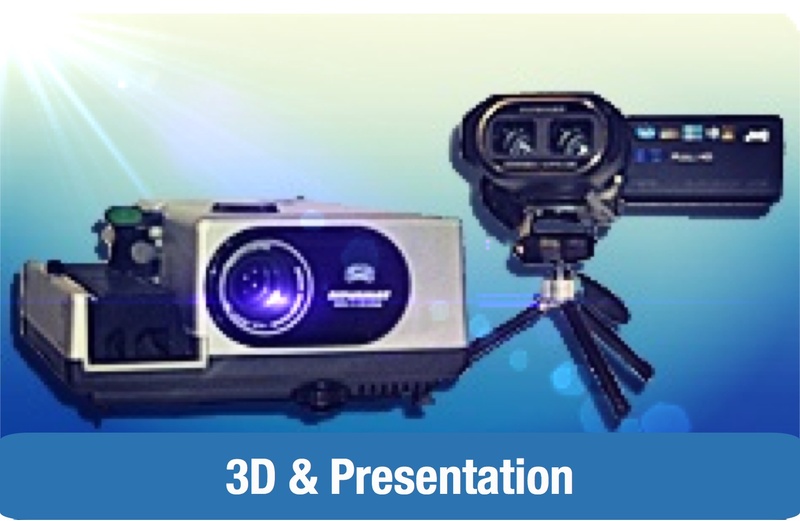 Short focal ratio refractors will need a 2x or 2.5x Powermate to get the best performance. Exact filter bandpass will vary based on final telescope application. No specific FWHM bandpass is designated, but it will be around 5__. The fully optimized design eliminates the need for any adapters. 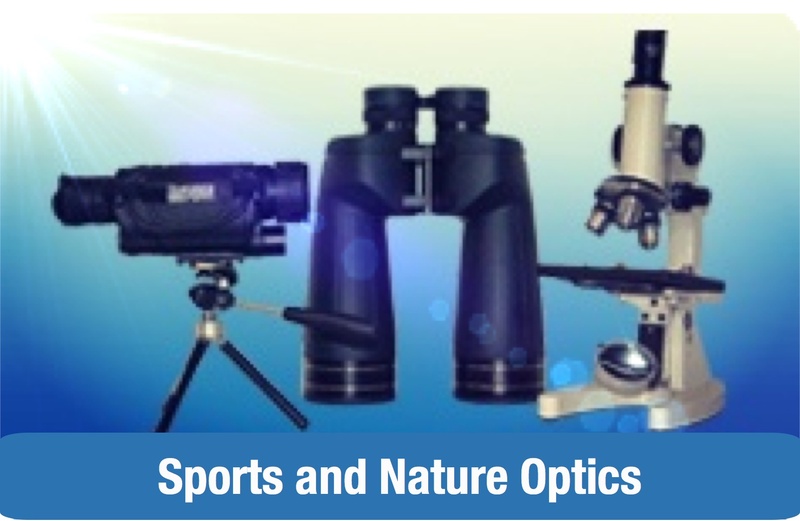 It's all combined in one lightweight eyepiece sized device. Not compatible with red or yellow glass ERFs. 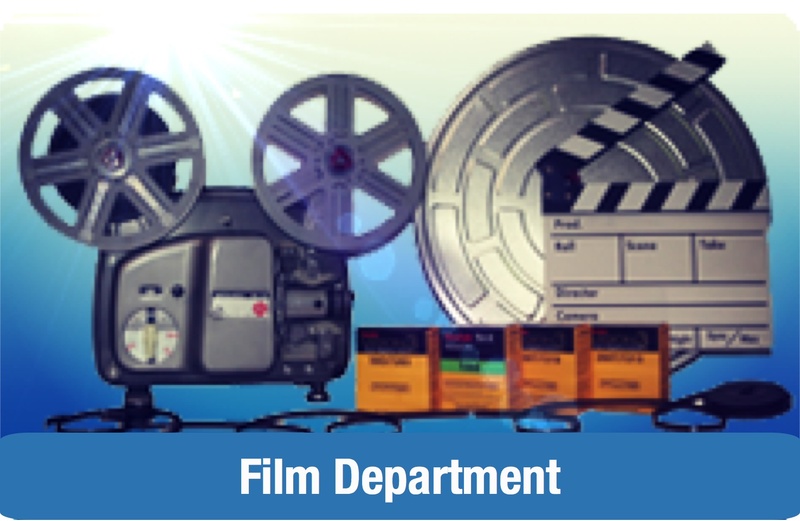 Recommended for use with a UV/IR cut filter for safety. 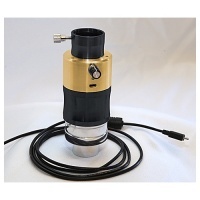 Users need to purchase an Energy Rejection Filter specific to their telescope for safe operation. The Calcium Quark can NOT be used with front mount ERF. Baffles have been added to increase contrast and AR coatings are optimized for the 397nm wavelength. We even reduced power consumption, so the Quark can now operate all day off an optional small, palm-sized battery pack. Calcium H line (3968.5__), approx 5__ FWHM. The Sodium Quark brings quick, easy fun of the Original Quark to Sodium D-Line.